Cape Fear Region's fastest growing accounting firm. It’s important to maintain good relationships with your vendors and suppliers. QuickBooks helps you track your interaction with them. QuickBooks never forgets. That’s one of the reasons you use it. 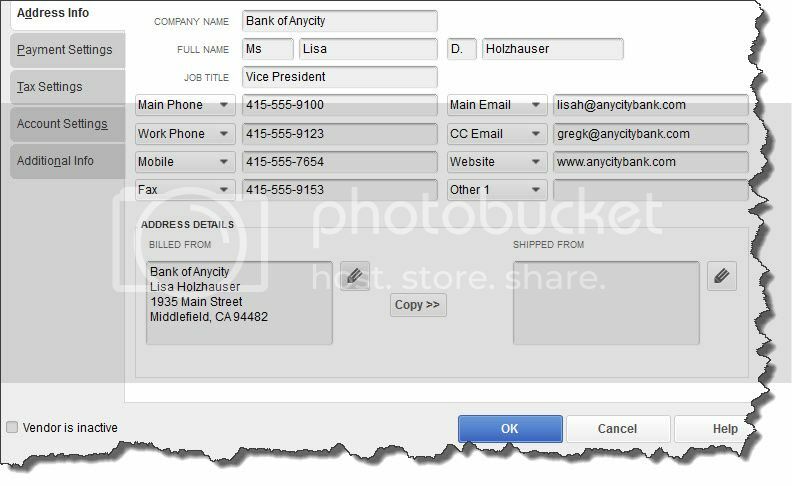 You create a record or transaction, enter a note about a customer, or write a check, for example, and the information gets stored in your QuickBooks file. If you don’t remember exactly where it is, you can search for it. No more flipping through a card file or folder, or digging in drawers. QuickBooks makes it possible-easy, even-to maintain thorough records of your vendors, the individuals and companies who provide you with office supplies, product parts, computer equipment – everything you need to keep your business operating. Once you’ve started building a vendor record, you’ll be able to use it in transactions and reports, and to simply refer to it when you need some information. If you’re just starting to use QuickBooks, part of your setup will involve entering vendor details in the record template the software supplies. If you’ve been a QuickBooks user for a while but you’ve only suppled enough information about vendors to create transactions, consider fleshing out those elements of your accounting file as you have time. At the top of the screen (not pictured here) is a box labeled Vendor Name. Enter it, then move on to the Opening Balance field and supply the amount and date. If you don’t understand the concept of opening balances, we can go over this with you. Fill in as many of these fields as you can, then click on the Payment Settings tab in the toolbar on the left. The fields in this window-Payment Terms, Credit Limit, etc.-are optional, but complete what you’re able to. The more you can fill out now, the less work you’ll have to do later, since much of the information here automatically comes up when you create transactions. Tax Settings. 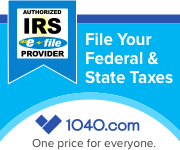 Vendor Tax ID and 1099 eligibility. Account Settings. Here, you can select the default account that should be automatically selected when you enter a bill or expense for this vendor (for example, phone bills=Utilities:Telephone). Talk to us if you don’t understand this. It’s OK to leave it blank for now. Additional Info. Vendor Type (subcontractors, for example) and Custom Fields (fields you can define for your own use). Here’s where your conscientious work creating records starts to pay off. Click on any of the five tabs in the top toolbar to display that vendor’s Transactions, the Contacts from that company, any related To Do’s, Notes you’ve taken, and Sent Email. Once your lists grow unwieldy, you can search by a variety of filters. There are numerous transaction types that require vendor information, like purchase orders, bills, checks, and sales tax payments. When you open one of these transaction forms and click the down arrow in the Vendor field, your list will drop down. Select one, and related details that you’ve already entered will automatically appear in the correct fields. You can create vendor transactions from either the home page or the menus. You can also do so from the Vendor Center. With either the Vendors or Transactions tab active, you’d click on the New Transactions link in the upper toolbar and select the one you want to launch. The mechanics of filling in the fields in vendor records and using that information in transactions are not overly complicated. But as we’ve noted here, you may run across unfamiliar concepts. We’d be happy to spend some time with you exploring this whole topic, to ensure that your relationships with vendors remain positive. Copyright © 2019 Noble Accounting. Powered by WordPress. Theme: Ample by ThemeGrill.